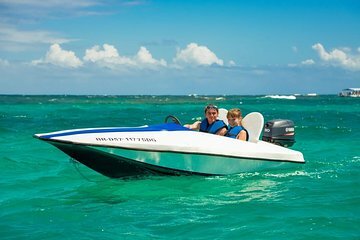 Pilot your own speedboat across the turquoise waters of Punta Cana, then stop at a special mid-ocean platform to swim and snorkel. With guides supervising, zip over the waves and take in the coastal scenery on your very own speedboat. Once you reach the platform, dive in with provided snorkel gear to explore the underwater world before heading back to shore the way you came.